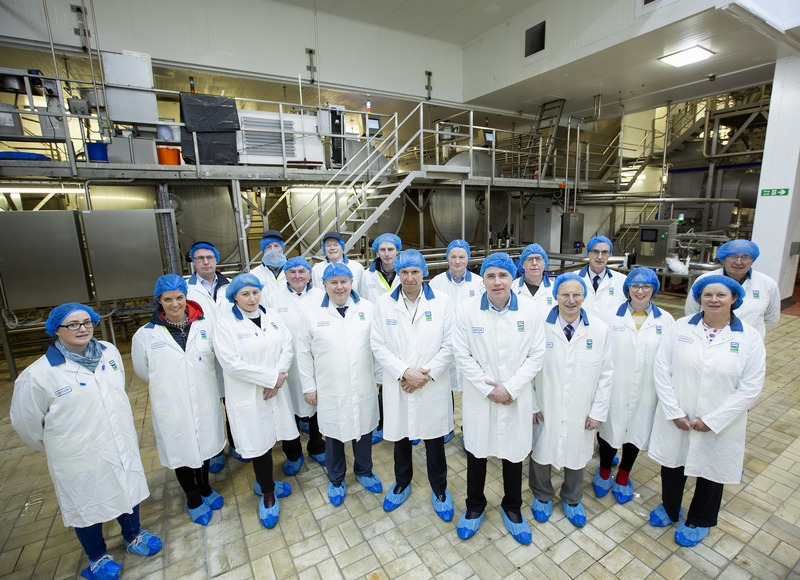 Dale Farm welcomed a group of local journalists and media professionals from the Northern Ireland branch of the Guild of Agricultural Journalists to its Dunmanbridge plant recently. Over the course of the morning, the group were briefed by Dale Farm Group Chief Executive Nick Whelan on the history, operations and ambitions of dairy cooperative Dale Farm. The company then hosted a tour of its cheese production facility and the custom built state-of-the-art solar farm that powers it.